The Studio of The Sooner Theatre offers rustic character and the charm of historic downtown Norman for your meeting, reception or event. Exposed brick walls retain historic murals high ceilings, with a modern, industrial feel give the space instant elegance. The official in-house caterer for The Studio is Benvenutis Ristorante. All events which require catering can be booked directly through Benvenuti’s catering (405) 826-9028. Events not requiring food or alcohol can be booked through The Sooner Theatre directly (405) 321-9600 x114. 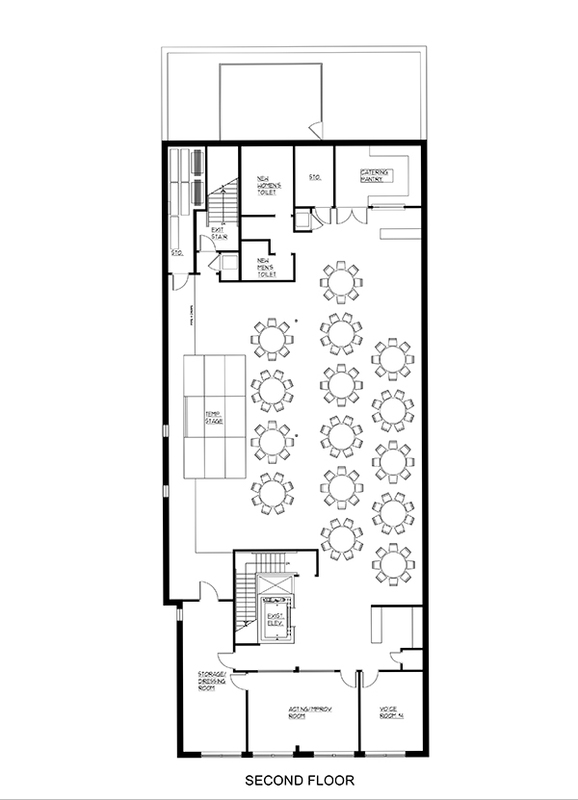 The Studio Event Center is located on the 2nd floor of the Studio of The Sooner Theatre's historic downtown Norman building. The space is accessible via stairs and elevator. Street parking is available along Main Street and a large public parking lot is located on the North corner of Gray and Peters Streets, less than one block from the building.